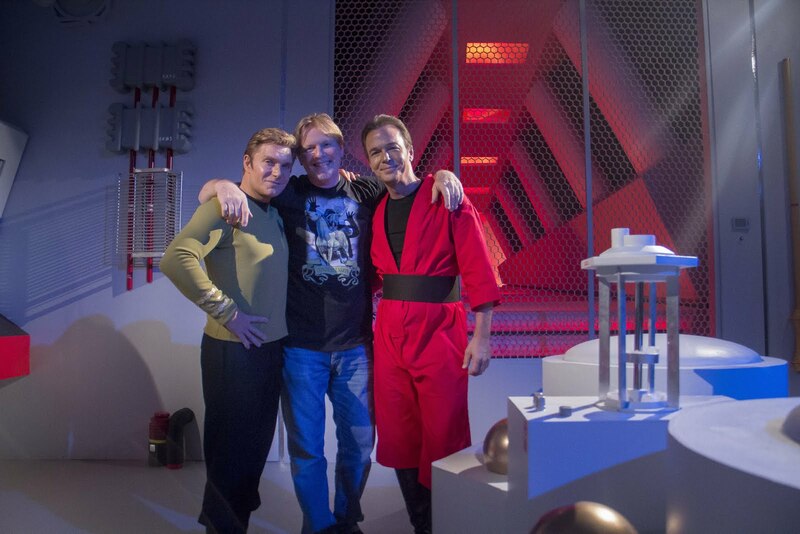 The successful crowdfunding campaign last year by STAR TREK CONTINUES raised enough money to produce additional episodes and also to create fandom’s first full-scale recreation of Scotty’s Engine Room aboard the Starship Enterprise. 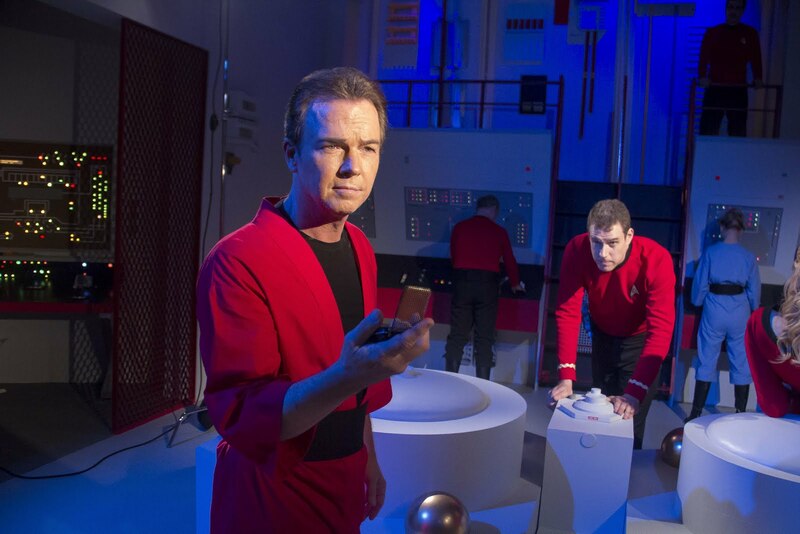 A herculean effort over the spring and summer of 2015 brought the amazing set to life, inside the Stage Nine studio that also contains the shooting soundstage for STAR TREK CONTINUES. Look for the debut of Scotty’s Engine Room in Episode Six this coming May. We talked with Chris Doohan, who recreates his father’s role as Chief Engineer Montgomery Scott, about the experience of seeing the Engineering Room come together in southern Georgia. first heard about the plans to add Engineering what did you think? STC NEWS: The Engineering Room set was a "stretch" goal from the last crowdfunding campaign. Did you think it would ever happen? And what was your reaction when you saw that funding had come through to build out Engineering? STC NEWS: Did you see the Engineering Room set as it was being built - or were you literally surprised just as it was finished? series? How does the STC version stack up? STC NEWS: Lots of volunteers and artisans like Will Smith had a hand in turning the Engineering Room into reality. What do you think of the craftsmanship of the finished product? STC NEWS: Do you think of your Dad when you see that set? looking at that amazing set? That's what gets me when they say" We had to wrap the show up because of cost over runs". These guys have proven they can do it as good as any television corporation with out the costs. Great work guys, keep em coming. the Sets, the Stories, the Acting... GR would be proud. I am TOS original fan....now BIG fan of STC. I was one of the thousands who sent petitions to Paramount in 69. I cant give you enough praise. thank you...so much, I cant tell you how much it means to me. I too strongly agree w/ tim colliver! I am so appreciative of all the energy put towards this production. Thank you from the bottom of this Trekker's heart to the ST Continues folks! THIS is where Star Trek lives and nowhere else. And I want to thank neoTerra for being one of the letter writers in 1969 that kept ST TOS on the air for another season. I would have written but was only 9 years old and just a budding ST fan at that time. No one could do the legacy of Star Trek TOS better than Vic and his outstanding cast and crew! I am eagerly awaiting the next episode of STC! Warp speed ahead!!! It took me about 5 minutes to get over the fact that all the characters had new faces. After that it felt like I had entered a time warp and was back in the sixties. Wow! This is quite easily the best Trek in years. So far I have seen 3 episodes and it just keeps getting better and better. I only have one request. Could you please do a Harry Mudd episode? Rodger C. Carmel was hands down my favorite guest actor on Star Trek.His performance was unforgettable. 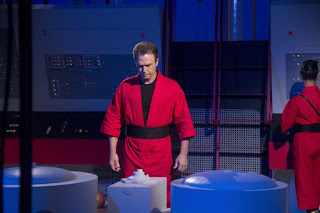 Discovered Star Trek Continues from tuning into Coast to Coast radio. 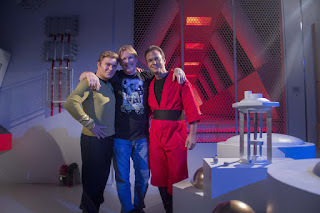 My husband and I have been fans of ST since Star Trek the Original Series. We've watched 2 epipodes of STC so far and loved them both. Thank you for your vision and your hard work. It is our sincere hope the STC and her cast "Live Long and Prosper"
You are doing amazing things for fans of TOS. 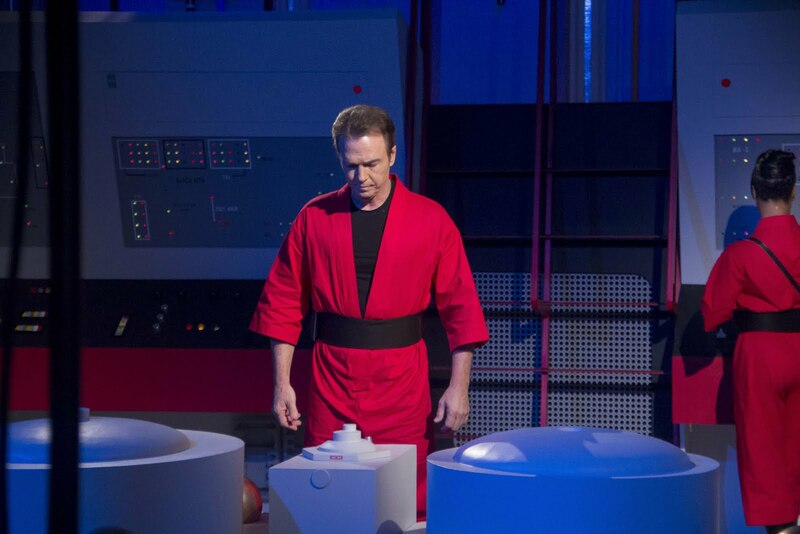 Its so fun just to see the sets recreated so accurately as well as the top-notch special effects. Superbly impressive. I have no doubt the original sfx team in the 60s would have killed to access the capabilities you can. Crank it up when opportunity presents! I am loving the espisodes. Ep 1, 2, and 3 surpassed many TOS episodes. For an idea.....I always wondered where the Doomsday Machine came from. What if there were more or the folks who built it showed up...? Or its intended opponent? Lastly, love seeing the female security guards! Now let them get in on some more action!